We have hundreds of coloring pages. This Christmas coloring page celebrates the Holy family with Jesus as an older child. It shows Jesus, Mary and Joseph in stained glass. 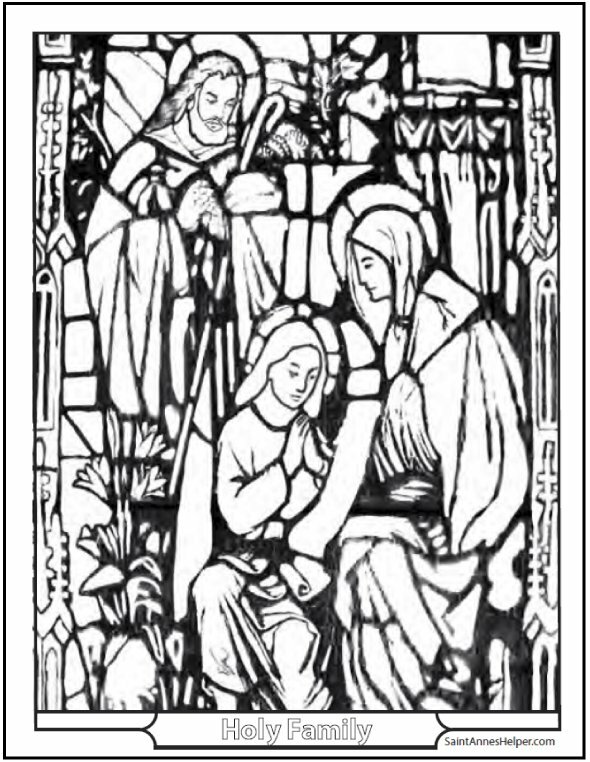 Print this Holy Family Christmas coloring page here. Order St. Anne's Helper Audio Catechism downloads, worksheets, and coloring pages here.